Gauge The stockinette stitch pattern needs to be a little denser than usual. Gauge is not too critical, as long as it is 6 or more stitches per inch (2.5 cm). Optional: a straight or circular needle for Sue’s Shawl. 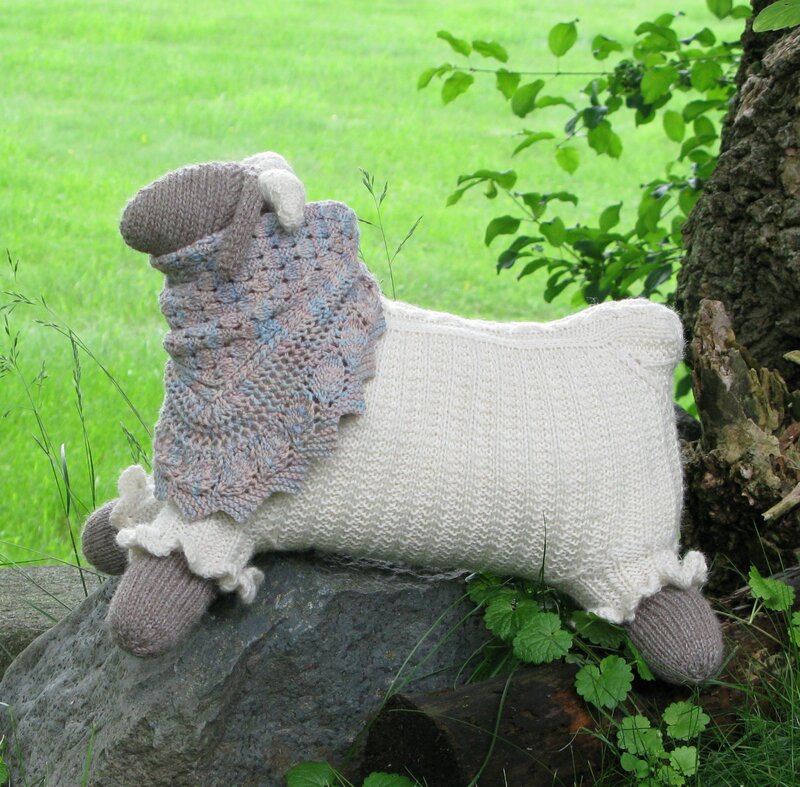 From the designer’s pattern introduction Sue is designed to be a friend to Sam the Ram, my previous sheep design. Sam was inspired by a drawing on a note card of a sheep wearing an Aran-patterned sweater. Sue has the same body shaping, and the same cable down her back, but her horns are smaller (and optional), and because she wears a shawl, I felt that a simpler fleece design than Sam’s was appropriate. She also still needed some little thing to make the design complete, and ruffles on the leg cuffs seemed to be the final feminine touch.